I know, I know. It's a colour photograph. But it gets worse because it's probably digital as well. 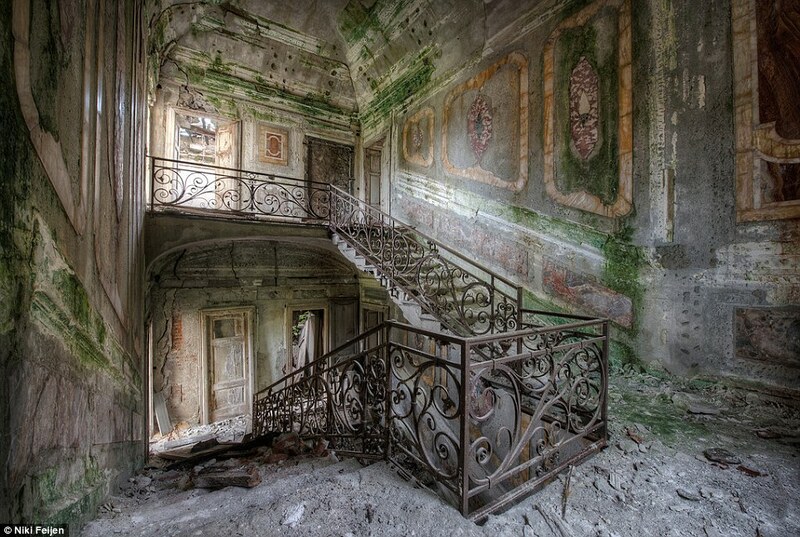 I'm not going to apologise because if there's one thing that digital excels at it's photographing ruinous interiors. And Dutch photographer, Niki Feijen, some of whose pictures are on this page, has shown himself to be a bit of a master at what he does. When it comes to photographing interiors, it can be very tricky working out the correct exposure in these situations so the instant feedback from the LCD screen is definitely a plus point. As is the ability to apply a little light high dynamic range to balance the daylight coming through the windows and boost whatever colour is in the scene. I used to do a bit of this kind of thing myself when I was totting a DSLR and before they began knocking down all the old buildings in the area. Here are a couple below that I took on a Pentax K10D five years ago. It was only when I dug them out that I realised just how garish they are. Nowadays, I'd dial down the colour saturation by an order of magnitude. To be honest, it's the only part of digital imaging I miss. I've never liked colour prints much as artworks. I'd never hang one on the wall, for instance. However, I do see the HDR colour shots as something more worthy of being displayed behind a frame. If that marks me out as a vulgarian, well so be it. We all have our guilty pleasures. Now that's what I call atmosphere! 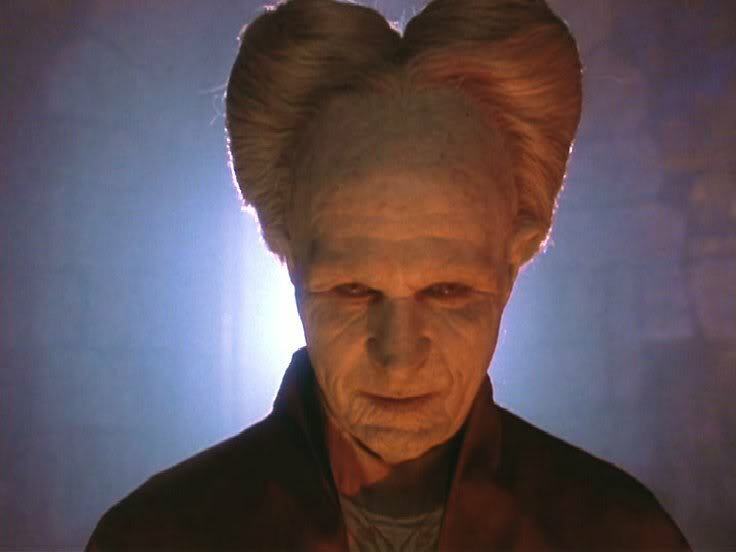 I keep on waiting to see Gary Oldman wafting by with his freaky hairdo. 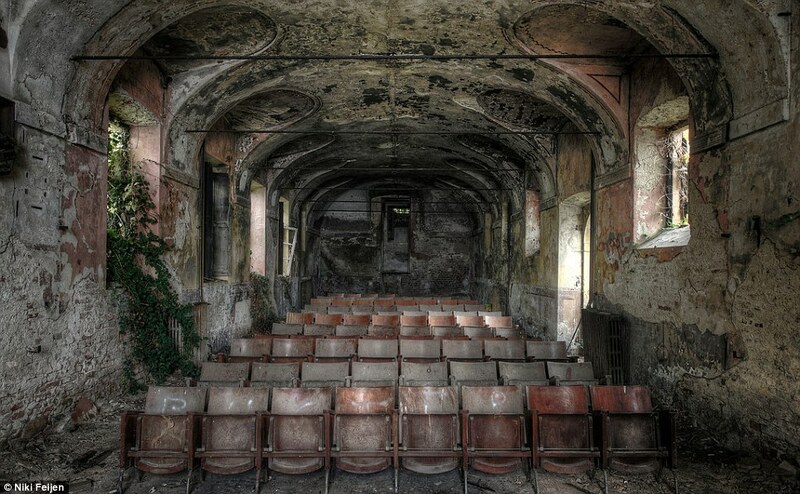 Niki has a great eye for composition and exhibits an enormous amount of sympathy for his subjects in these images. If you like this sort of thing - and I love it - you might be interested to know that he's now brought his photographs together in a book entitled Frozen that's due for release in September. Niki's work caught the eye of a Daily Mail reporter who featured his work in the paper. It's worth a look and you can find it here. You can do this sort of thing with film but I think it's easier in black and white than colour. The latter is a bit of a hair shirt pursuit in my opinion. No matter how good your metering technique is, I still think it's advisable to bracket because the contrast range can be so extreme that you're never really sure what you've captured until you've developed the film. 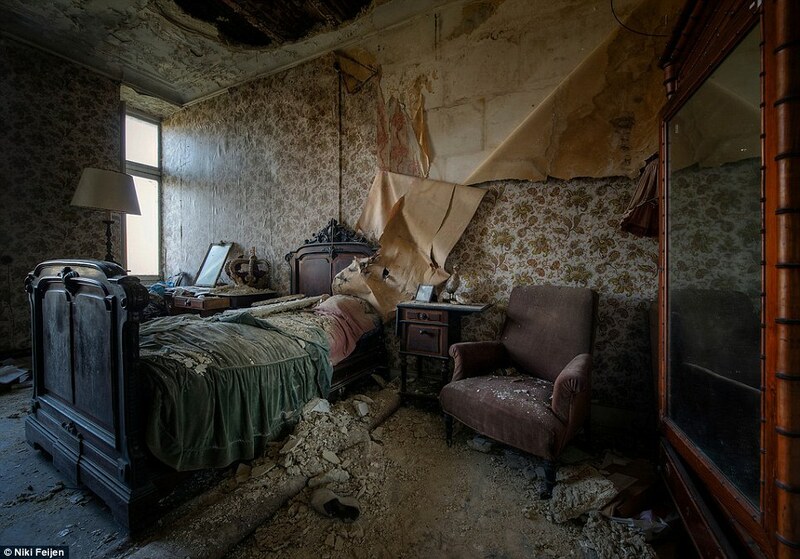 Urban exploration photography has a strong and dedicated following and a Google search will probably find plenty of examples of this type of work in your own area. Sometimes you'll be shown photographs that will inspire you to get in the car and do some exploring of your own and that's one way of finding lots of new subjects for your camera. Yes, I see what you mean about garish! We had a fine exhibition here on the island by former Buzzcocks drummer John Maher and Vet Ian Paterson called leaving home about abandoned croft houses - of which there are many. Some of John's images were shot on a 4x5 too - although most of them were d*gital. I do not like HDR! That's because you have good taste! I think it's almost a shame you're bringing this work to the attention of mostly film photographers here Bruce, when it's our digital brethren (I think of them as such anyway) who by and large could really benefit from an appreciation and understanding of Mr. Feijen's. 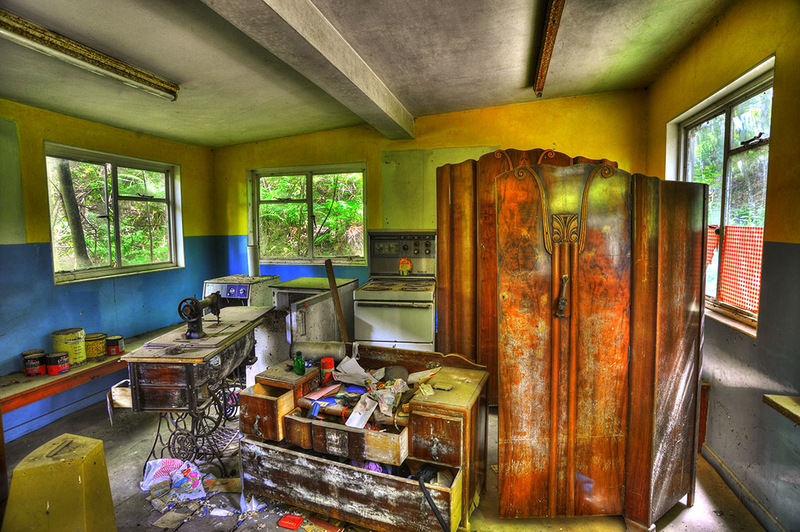 I see so many online galleries these days from photographers who treat HDR as an end in itself rather than a tool. I'm with you in thinking that HDR is a better tool than anything we have at our disposal with film in certain high contrast range situations such as photographing dim interiors with full daylight streaming through a window. If only digital photographers understood what they have. 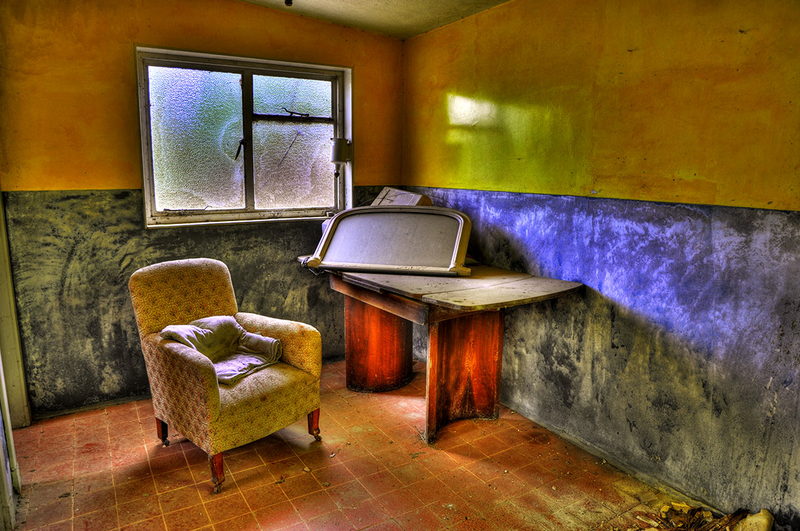 Instead so so many of them treat HDR as an end in itself, using it wherever they can even in situations where the entire contrast range of the scene falls well within what their sensors can capture in a single shot. On top of the generally fine work generally Niki Feijen avoids the overblown saturation, obvious halos and weirdly unnatural tonal relationships that have become commonplace. Well, for the most part anyway. I had a look at all the photos in Daily Mail online feature. In that shot of the abandoned lavatory with the towels that look spookily like they'd been hung there yesterday, did anyone else notice that the view out the window looks like it was pasted on? Just sayin'. Please stick to film related articles. This is one realm where I often promote colour negative film: two stops overexposure for the depths of a dim cafe and still there is preserved detail of a glowing overhead light of a table by the window. Bruce - they are feckin' ghastly - sorry, but really, honestly, your interior shots live and breath class man - way above the stuff in this post. This is 'capture' by someone with an eye but no idea of where and when to stop arsing around with the picture. To my limited and biased mind, there's only one master of interior photography and he died a long time ago - Mr.Frederick Evans. Whatever message you come away with I hope it's not that you shouldn't stick your neck out a little from time to time when what you're moved to write about might not be popular with the crowd you've managed to gather here. I think the key to being able to stomach HDR is to stop thinking of them as photographs. That's not the way I see them at all. I think of them as a different medium altogether. The HDR has the effect of producing a very even tonality across the frame more like an artist would paint it rather than a camera would record it. To me, they're more like excellent cartoon-esque drawings of a scene. But I can easily understand why many people think they're the devil's spawn.